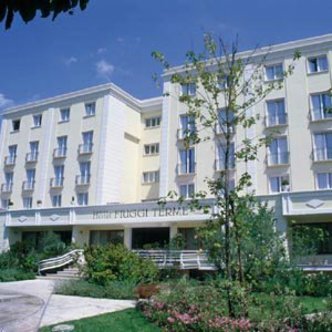 The Best Western Hotel Fiuggi Terme, in the greenery of a large park, is designed to offer its guests an environment where it is pleasant to stay both for treatments and tourism. The hotel has a swimming pool and two tennis courts. The restaurant provides a high quality of service cuisine. A courtesy car is provided to and from the spa area. Our amenities include a concierge, safe deposit box, babysitting, valet laundry services, fax and photocopy services, secretarial services, cable television and a mini-bar.